More seasonal food! For this I wanted to make something super-simple to really highlight the freshness and goodness of the ingredients; young beets are so rich and sweet, and new potatoes have that great potato fragrance. Roast the Vegetables === 1. Preheat oven to 350°F. 2. Scrub the beets and potatoes well. Trim the beets, leaving a short length of stems on top. 3. Get a big piece of foil. Take a sheet pan and lay the foil on it, and place the vegetables on top. 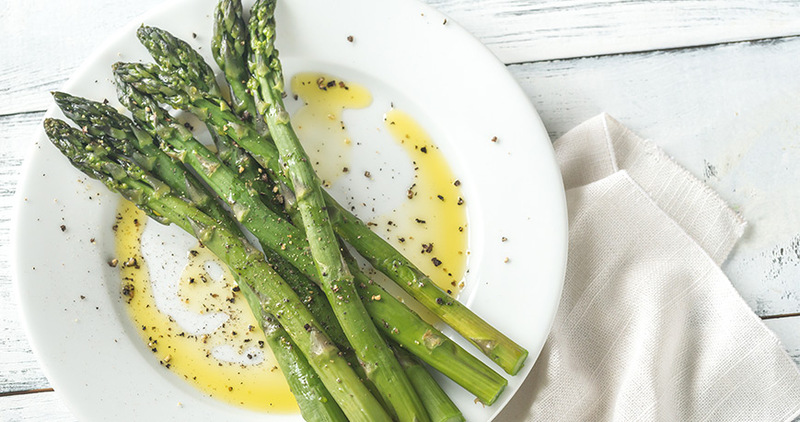 Drizzle with olive oil—at least a good tablespoon or two—and sprinkle generously with S&P. 4. Fold up the foil and crimp the sides to make a big foil envelope. 5. Put in the oven for 45 minutes. 6. When 45 minutes are up, turn off the oven and *leave the vegetables in there* for at least half an hour. 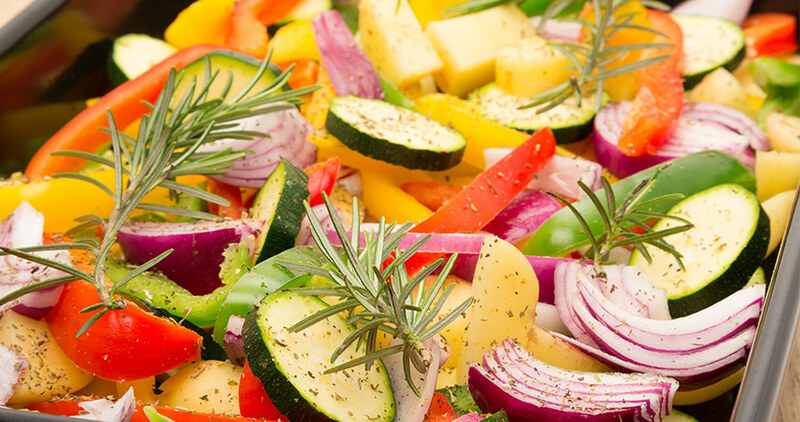 This hot-cool baking method makes perfect, tender vegetables! 7. When time is up, gently open the envelope. *Don't discard the juices! 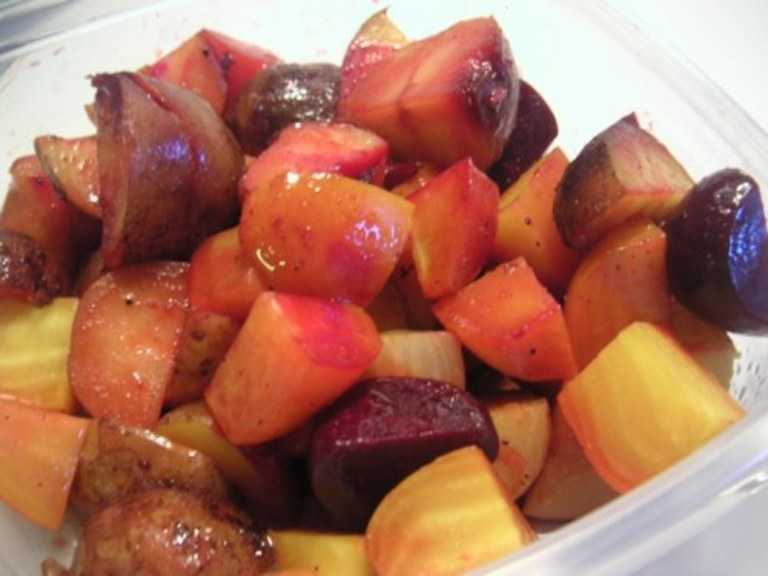 * Trim the beets and cut them into chunks; gently rub them with your fingertips and the skins will slide right off. Cut the potatoes into chunks too. You don't need to peel them. Make the Vinaigrette === 1. Pour the oil and juices out of your foil packet into a cup. Add a splash of balsamic—**just a splash, don't put in so much it gets discolored or too sour! **—and lots more salt and coarse-ground pepper. Mix it up. You're Almost Ready! === 1. **While they are still hot,** pour the vinaigrette over the vegetables and toss gently. You don't want to bust up the potatoes too much. The vegetables will absorb some of the vinaigrette. 2. (Optional) Add a tiny amount—like a tablespoon—of diced sweet onion, and toss to combine. Serve warm.